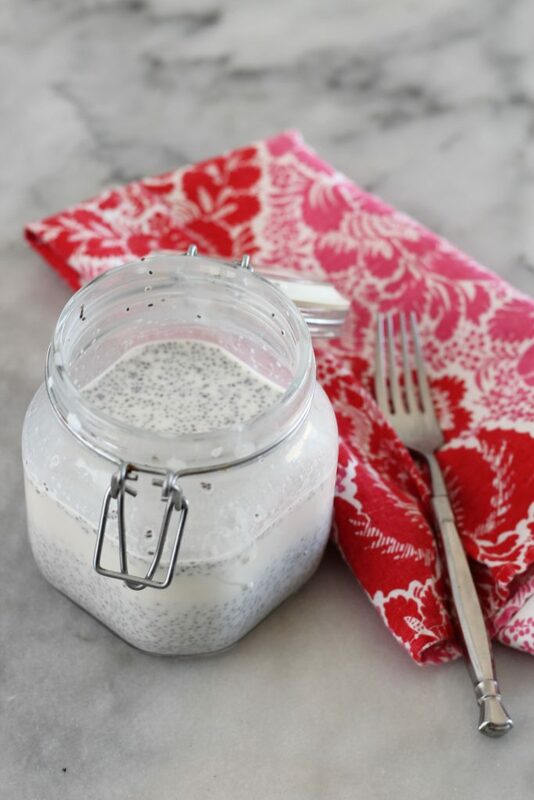 Lightly sweetened and full of fiber, this keto banana flavored chia pudding is a creamy and filling snack. Plus, it’s only 1 net carb per serving! Okay, before all the keto police jump on me and scream how bananas aren’t keto, I am going to say that NO BANANAS WERE HARMED IN THIS RECIPE. Yep, I just used some banana flavoring that I found at the market. Even without real bananas, this keto chia pudding still tastes delicious. The banana flavoring kind of reminds me of a banana Laffy Taffy (so not keto) more so than a real banana. I’ll take it though. I eat it daily, sometimes banana flavored, sometimes with other exciting flavors. Chia seeds are strange little creatures. They have 5 carbs per tablespoon and 5 gram of fiber, which works out to zero net carbs. Which is perfect if you are counting net carbs. 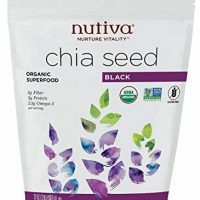 The chia seeds are full of anti-oxidants and they can absorb 10 times their weight in water, so for very little calories (and carbs) they fill you up. Plus, all that fiber really helps to keep the bowels happy…if you know what I mean! The best part of this recipe is that it is so versatile. 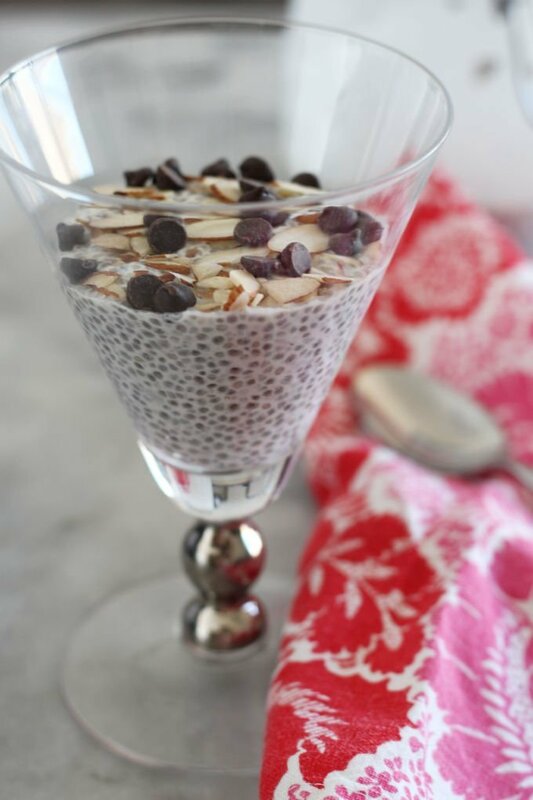 Basically, all you need is 1/3 cup of chia seeds and 2 cups of liquid. 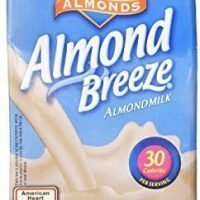 I use unsweetened almond milk and heavy whipping cream. But you could totally use cashew milk, flax milk,macadamia milk, hemp milk, coconut milk or coconut cream. There are so many low carb milk options anymore! You do you, boo. To sweeten it, I use just a tablespoon of KetoseSweet+ Liquid. I like it because it tastes very close to real sugar, it’s already in liquid form and you can subtract the carbs from the allulose from the total carbs. You can use whatever your preferred sweetener though. 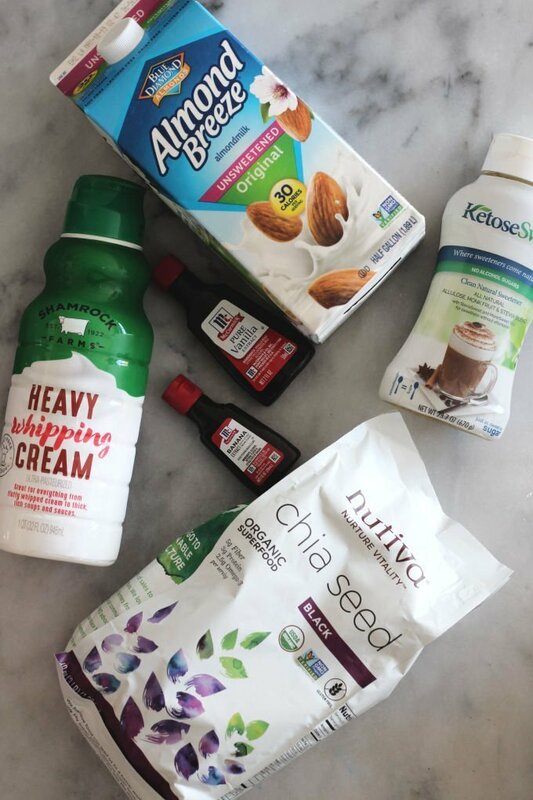 Click here to read about keto sweetener options. Let’s talk toppings! 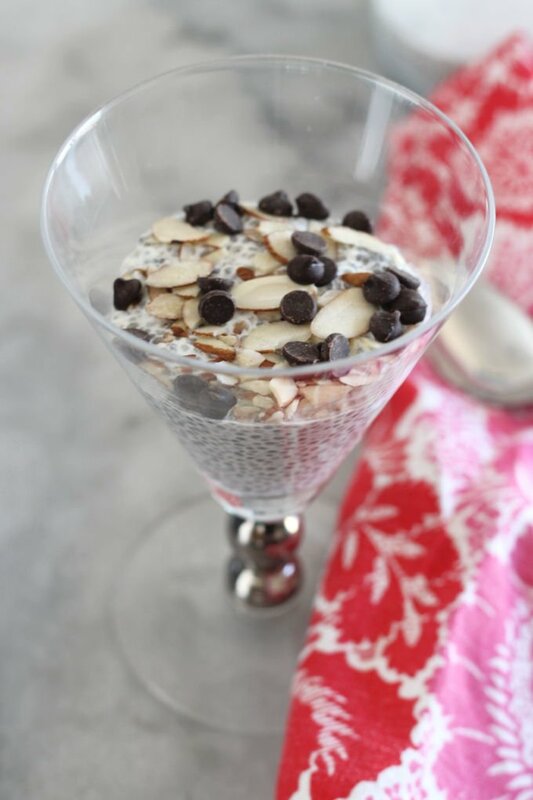 Those are always the best part of this keto banana flavored chia pudding. It tastes amazing with a little bit of peanut butter or my favorite Perfect Keto Nut Butter. Or sprinkle with some Lily’s Chocolate Chips, or even cacao nibs. Toasted almonds slices or toasted coconut chips taste great with the banana flavor also! Oh and hey, don’t forget to check your teeth after eating chia seeds. Chia seeds are worse than spinach! Fair warning! Place liquids into jar and stir. 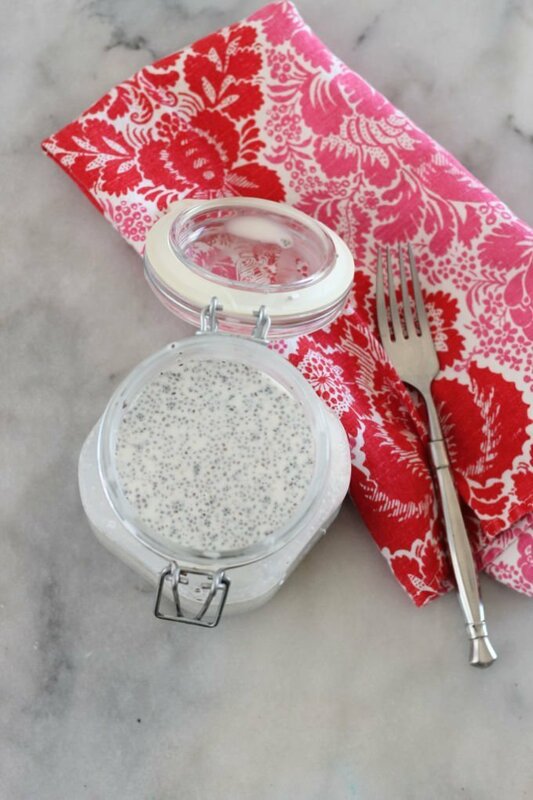 Add chia seeds to liquid. Stir well with a fork. Cover and place in refrigerator for one hour, then stir again with a fork. Return to refrigerator and let chill for at least 4 hours, until pudding has thickened. 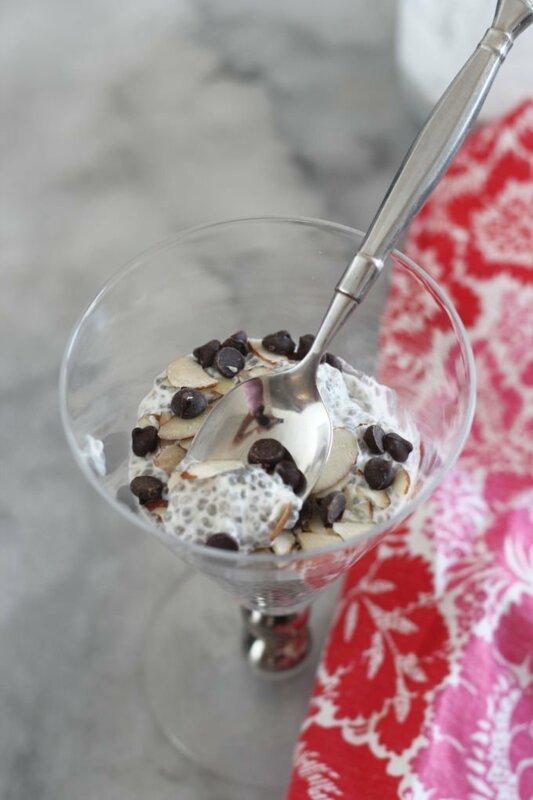 Serve with berries, coconut chips, sugar-free chocolate chips, sliced almonds or alone. 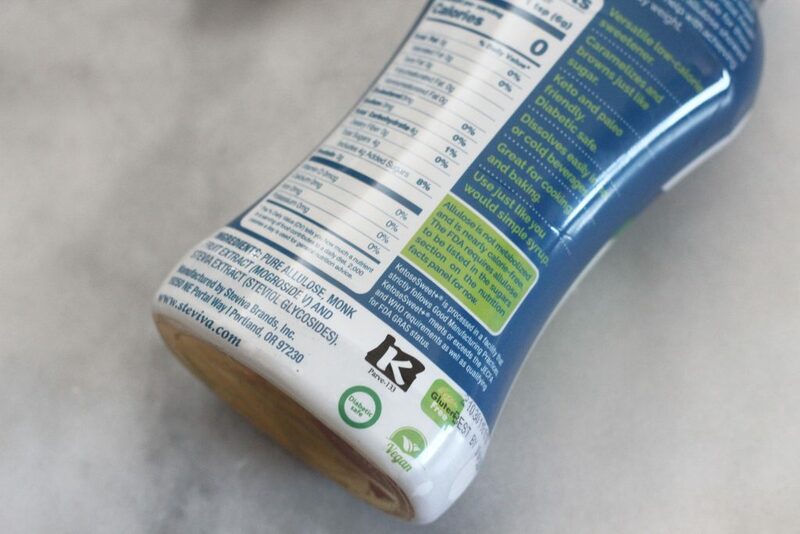 Use which ever type of milk or sweetener that you prefer, carb calculations will differ based on ingredients. 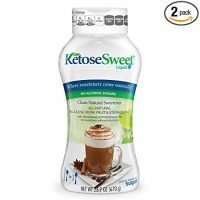 Allulose in the KetoseSweet+ has been subtracted from carb count.